Summer's Near! Here's How to Throw an Unforgettable Outdoor Wedding. - An Inspired Affair, LLC. Summer’s Near! Here’s How to Throw an Unforgettable Outdoor Wedding. 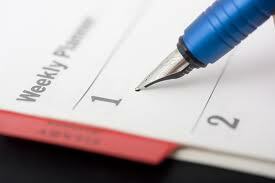 June is one of the most popular months for weddings. 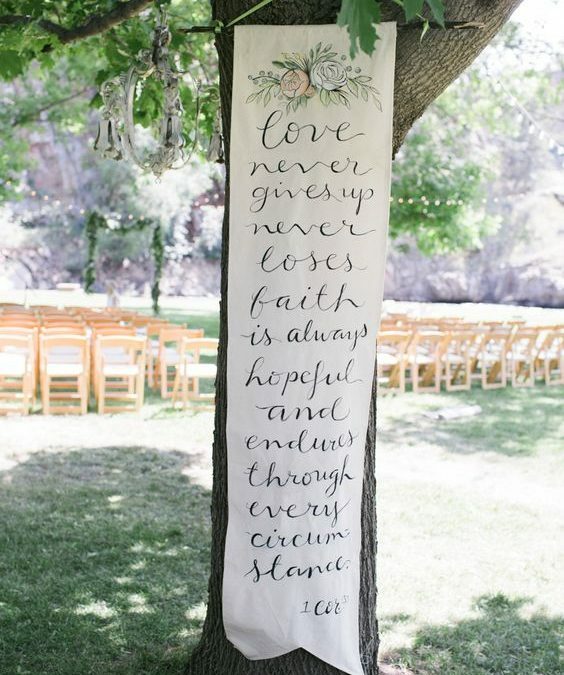 One of the reasons why is because summer is a great season for throwing an outdoor wedding. 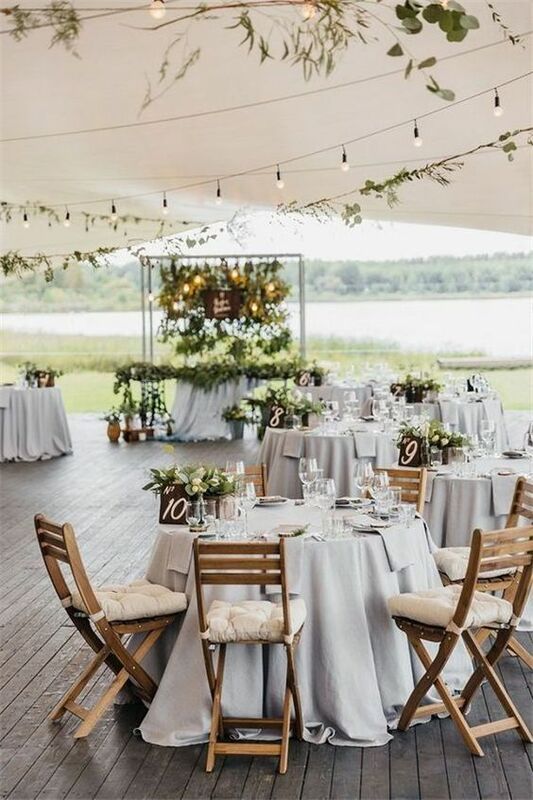 Sure, it may be warmer—A LOT WARMER—than spring or autumn, but with the right amount of preparation, you can make your nuptials the one thing that your guests enjoyed the most once Labor Day rolls around and they reflect back on all of the wonderful their summer season memories. Another way to feel a bit cooler is to rent a tent. You can use it for your wedding, reception or both. It’s also a great thing to have in case the weather sneaks up on you and it rains. How much will it run you? Between $1,500-3,000 on average. 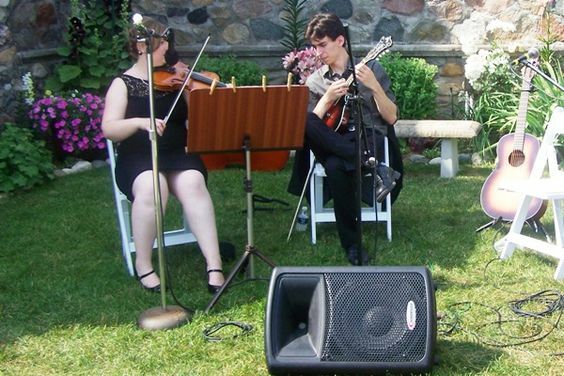 When it comes to summer weddings, something that a lot of people tend to underestimate is how hard it can be for people to hear while outdoors. 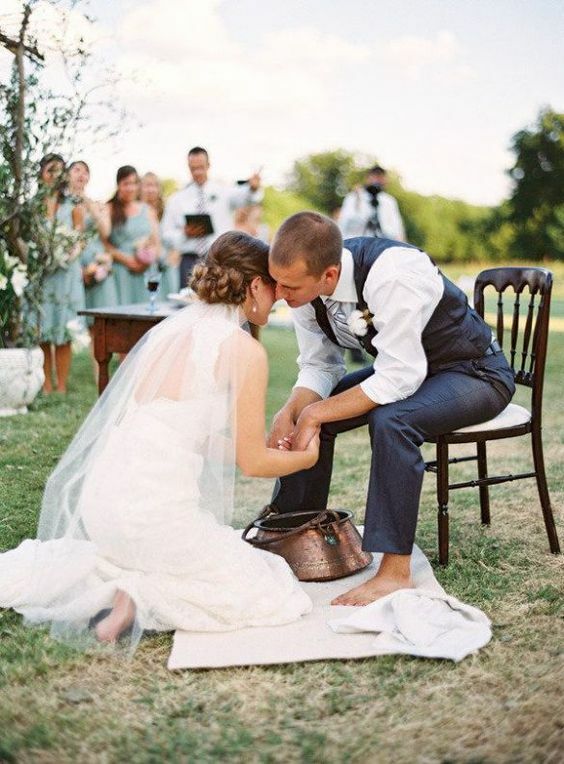 The wind alone can lead to your guests straining to listen to you and yours recite your vows. So, as you’re factoring all of what you need to purchase, make sure an “outdoor-friendly” sound system is top on your list. Have Blankets. LOTS of Blankets. 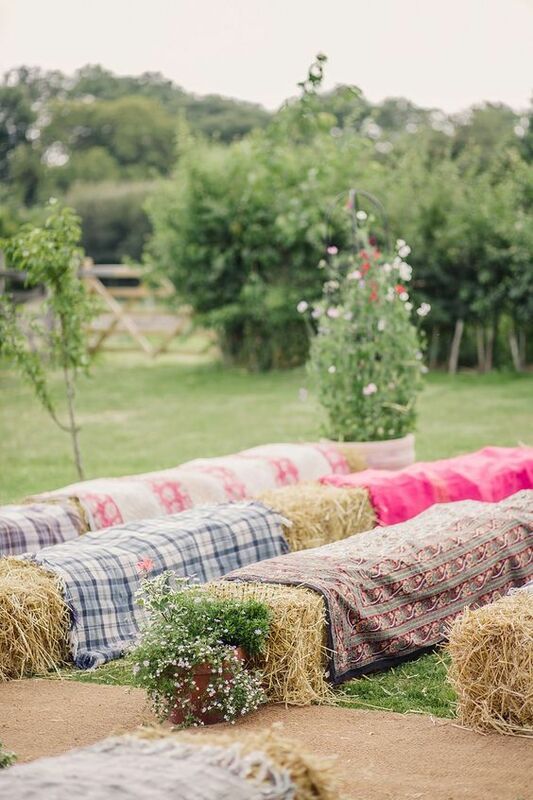 Whether you decide to go with bales of hay for seating (how cute) or not, having blankets on hand is a great idea. That’s because your guests can use them to sit on in order to stay cool or to lay on after the ceremony if they’d like to have a bit of a picnic feel while enjoying some of your reception food. 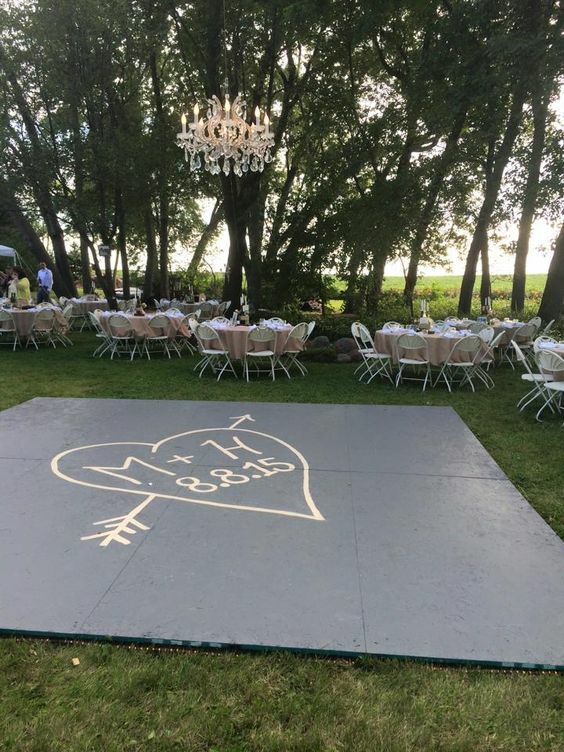 Something else that’s a good idea is a DIY dance floor for your reception. Otherwise, people may find their shoes sinking into mud or them tripping over rocks in the grass while they slow dance. Although it might sound like quite the project, it’s actually a lot easier to make than you’d might think. This point can’t be stressed enough. Your guests need PLENTY of hydration! 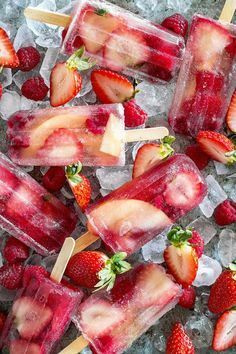 Bottled water, fruit popsicles, frozen grapes—foods that everyone think of summer that are also able to keep their body temperatures down. 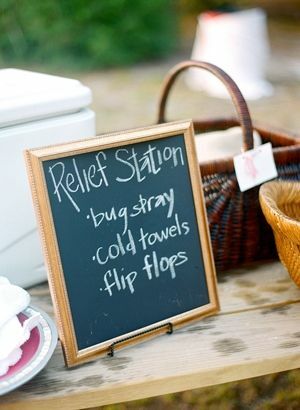 Something else that’s a nice thought is a relief station. It’s up to you to decide what you want it to consist of, but some of the things that immediately come to our minds are flip-flops, sunscreen, portable fans, cheap sunglasses and bug repellant. Rather than a formal sit-down dinner, how about going more “fun ‘n casual” for your outdoor wedding reception menu? Fruit salad. BBQ. 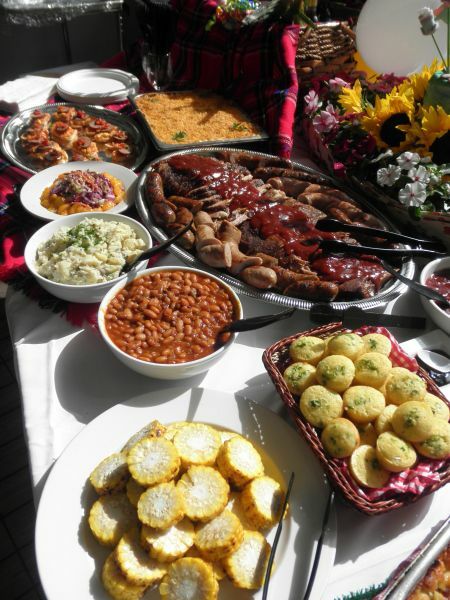 Southern-style cuisine. Wine and cheese station. A food truck. Food ideas that make you feel like you’re a kid running through sprinklers all over again. We won’t lie to you. Bugs are definitely a downside of summer. 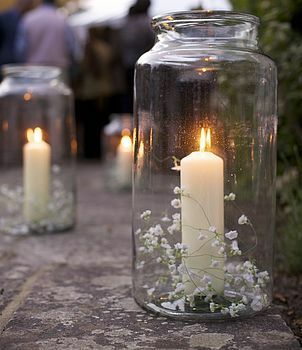 But with the help of some bug repellant and citronella candles, you can keep them at bay. If you decorate the candles, no one has to know that they are more purposeful than aesthetic. 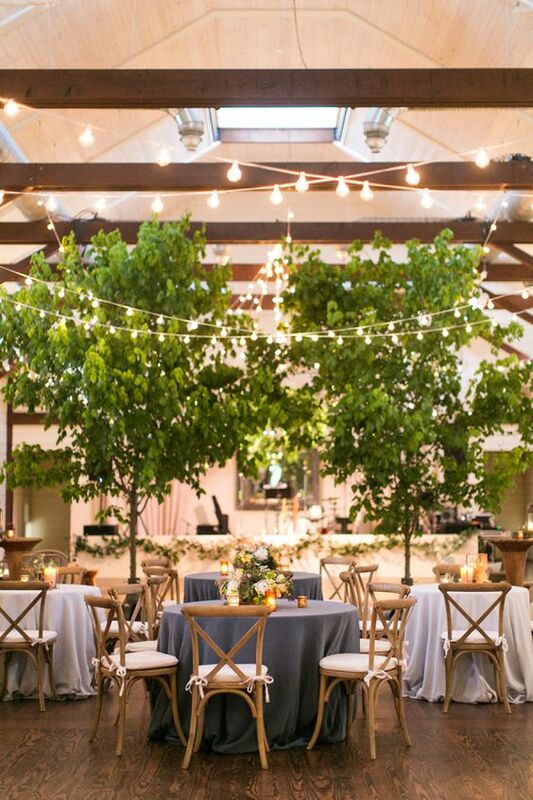 It’s always a good idea to have a back-up plan—a venue to accommodate a drastic change in weather or one that you can use as an alternative if, in the week leading up to your wedding you decide to change your mind, you can use. A church. A hotel. A library or museum. Just make sure that it’s affordable and still complements your summer theme, OK? Happy summer wedding planning!